Nu har vi lagt förra säsongens finalförlust bakom oss och går in i en ny omgång av Champions League. Under tisdagen drar gruppspelet igång och för vår del väntar en tuff hemmamatch mot Paris Saint Germain. Det franska storlagen har, precis som vi, gått rent i ligan hittills och kommer med ett starkt manskap till Anfield. För att ge matchen lite extra laddning bjuder vi på en dubbel Q&A, Jeremy Smith(@jeremysmith98) är expert på fransk fotboll och delar med sig av sina kunskaper i den första delen och i den andra delen kan ni läsa hur managern i PSG:s supporterklubb i Stockholm, Saga Rosén(@sagarosen) ser på laget. 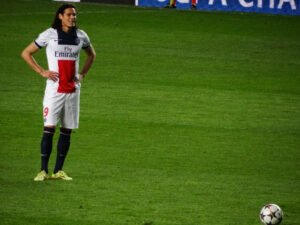 1.Tell us about the start of the season, how has the league started for PSG? So far, results-wise, it’s been a perfect start, with PSG matching Liverpool in having won every game they’ve played – including the Trophee des Champions (French equivalent of the Community Shield) – and already sitting alone at the top of the Ligue 1 table. The squad is reasonably settled with few changes from last season, but some home-bred youngsters have been given opportunities to play and have so far grasped them very well, which bodes well for the future. 2. Tomas Tuchel is the new manager of the team, how would you describe the way he wants the team to play? He likes possession-based football with a high press but is tactically quite fluid and has already experimented with a few different formations this season, including 4 and 5 at the back and different combinations up front. So while the emphasis is on attack, it’s hard to pin him down to any particular formation. I would expect him to begin at Anfield with a back 4, though. 3. What are your thoughts on the transfers PSG made during the summer? Mostly underwhelming. The club is still hamstrung by the money spent on Neymar and Mbappe, so the emphasis this summer was on selling to bring in money in order to keep within FFP, rather than buying. Of the players who have come in: Buffon is of course a great keeper but is a typical PSG signing in that it feels that they have brought someone in purely for the name rather than for necessity, and while he is not a troublemaker and his experience should be beneficial in the changing room, his presence is still likely to unsettle Alphonse Areola, who has more than earned his right to be the No.1. Juan Bernat has come in at left back, which is quite a canny signing as it was definitely a problem position for PSG – but is he the top level signing that could be the difference when it comes to the latter stages of the Champions League? I’m not convinced. As for Eric Choupo-Moting … to be fair, Tuchel knows him well from his time at Mainz so he may know what he is doing. But for a big club like PSG to be reduced to signing Stoke rejects shows how misguided their transfer strategy has been. The one positive signing is Thilo Kehrer, who looks a talented centre back to provide competition and cover for Thiago Silva, Marquinhos and Presnel Kimpembe. And with regard to their new defensive midfielder … well they still haven’t brought one in despite this clearly being the real problem position. Frankly this is negligent in the extreme from a club with such resources and with genuine pretensions to win the Champions League. 4. Neymar, Cavani and Mbappe are all great players, what do you think about the way they play together? The way they play together can still be hit and miss at times but they are such good players – and PSG are so dominant in Ligue 1 – that it still works more often than not. The best assist-scorer combination last season was Neymar-Cavani – despite it often feeling like Neymar and Mbappe would look to combine at Cavani’s expense. And last season Mbappe seemed star-struck by Neymar and looked to give him the ball at every opportunity. They haven’t yet played together this season too much but I think the dynamic may well change. Mbappe, as a world champion and with his early season form, is arguably the main man now. So will he expect more service from Neymar rather than the reverse? The potential of Neymar playing as a No.10 behind a front two of Cavani and Mbappe, which Tuchel looks to be thinking about, is intriguing and potentially devastating. 5. 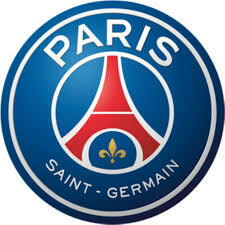 PSG has build a team to win the Champions League, do you think this will be the year for them? No I don’t, because I don’t think they have yet built a *team* to win it. I think they have an awesome forward line. But I still think the defence – particularly the lack of a defensive midfielder – is weak (including mentally weak in a couple of cases). I also still think the number of egos in the changing room has the potential to cause problems. On their day they can beat anyone, so it is certainly not impossible for them to win it. But I still don’t think they have addressed the weaknesses that have prevented them from winning it the last couple of years. 6. How good are their opponents in the league, are there any threats for the title? The obvious other names – Lyon, Monaco and Marseille – are all very talented squads. But none are able to compete with PSG. They can’t compete in the same transfer market and they are also unable to build a consistent squad over a few years. Monaco’s project is to buy young and cheap, get Leonardo Jardim to develop them and then sell for huge profits. It’s worked brilliantly so far but means no consistent challenge to PSG. Lyon and Marseille have kept a reasonably consistent squad this year round and many thought Lyon could provide a semi-challenge, but they have started the season poorly; Marseille will plod along as they did last year, relying on flashes of brilliance from Payet and Thauvin. There is talent elsewhere too, with Rennes building a very good squad, and teams like Dijon and Nimes always playing entertaining football. It’s ridiculous that so many people criticise the French league when one considers how many brilliant players it produces and continues to produce; but the financial situation of the league means that 19 teams out of 20 remain selling clubs and can’t challenge PSG. Top place aside, though, it is a very competitive league with increasingly good football and lots of young talent. 7. What kind of game do you think we will see at Anfield? I expect it to be a mostly attack-minded game, since I think that this is still where both teams’ strengths lie. I am not sure that this PSG squad – nor Tuchel – are capable or interested in sitting back and trying to leave with eg a 0-0 draw. So I think it could be a shoot-out between the two teams’ front threes. And while I think that PSG’s is stronger, I also think that Liverpool are stronger in defence, so I expect Liverpool to come out on top in an entertaining, hopefully high-scoring, match. 1. Hur har inledningen av säsongen varit för PSG? Fem matcher i ligan – och fem raka vinster. 2. Tomas Tuchel har kommit in som ny tränare i PSG, vad är dina tankar kring honom? Sett till starten i höst ser det minst sagt bra ut, men eldprovet blir Champions. Vi supportrar förväntar oss mycket – men sett bakåt har just CL varit en besvikelse. 3. Är du nöjd med lagets transfersommar? Vilka köp tror du kommer ha störst betydelse för laget? samarbete, är det som PSG verkligen behöver. I början när Neymar var ny in i truppen var det lite knaggligt mellan honom och Cavani. Idag är de mer samspelta och duktigare på att hitta varandra – man ser också en stor spelglädje mellan de sinsemellan. 5. De senaste åren har PSG inte riktigt räckt hela vägen fram i Champions League, vad tycker du talar för att man ska kunna gå hela vägen den här säsongen? 6. Hur ser konkurrensen i ligan ut den här säsongen, finns det några hot mot PSG? matcher). AS Monaco, som tidigare varit en hård konkurrent, har hittills bara vunnit en av fem matcher.